Photo By Rachel Beth Banks/Cronkite News: Gov. 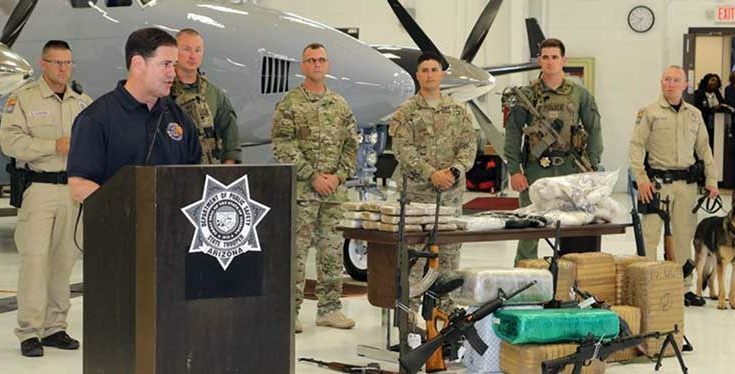 Doug Ducey said a strike force against border crime will soon get more troops to expand the operation to 24 hours. Border security based solely on “talk without action isn’t just cheap, it’s dangerous and deadly,” he said at a news conference. 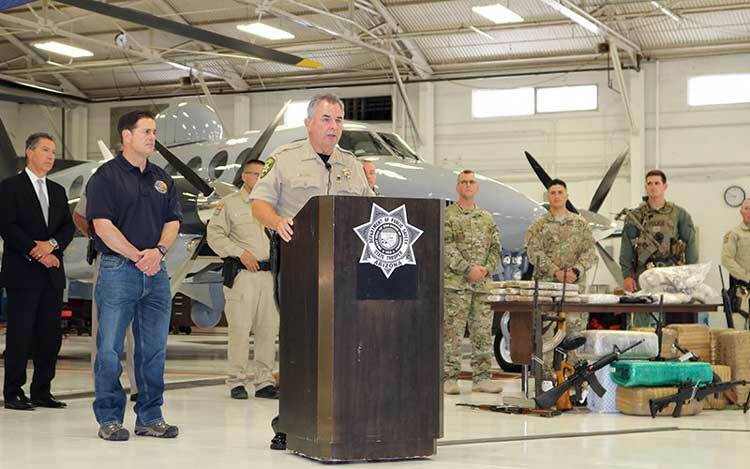 Law-enforcement agencies involved in the task force include the state Department of Public Safety, Cochise, and Pima counties’ sheriff’s departments. Photo By Rachel Beth Banks/Cronkite News: Pima County Sheriff Mark Napier advises 40 percent of all illegal narcotics in the U.S. comes through Pima County. Photo By Gabriella Bachara/Cronkite News: The Arizona Border Strike Force, created in 2015 by Gov. 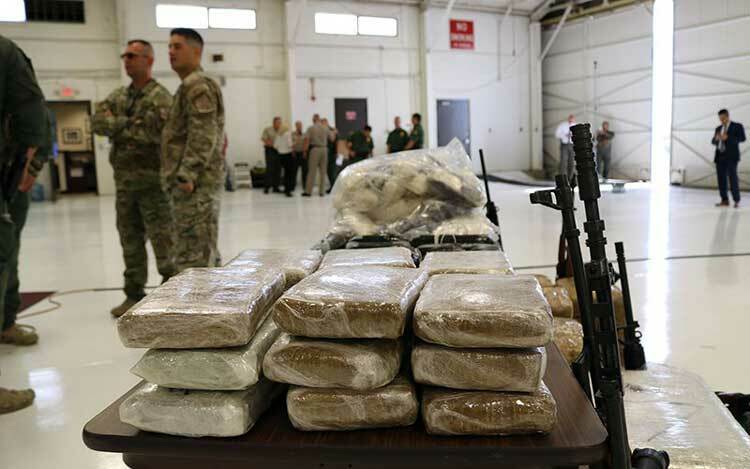 Doug Ducey, has seized 60,000 pounds of marijuana and nearly 300 firearms since it was launched. “I believe this $3 million is being misspent, and that in fact, it helps to create more of the uncertainty, more of the instability and more of the insecurity that we have seen in the past 20 years on this border,” Garcia said.